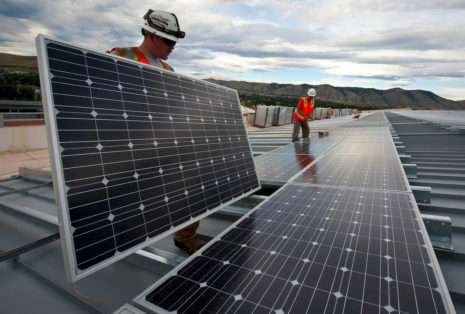 Half of all non-renewable resources used on earth are used in construction, making it one of the most detrimental industries to our environment on the planet. But we need construction, right? As a species we need to build infrastructure and as more and more of us move into urban areas, more and more roadways, housing, hospitals, schools, need building. But what damage does it have on our world and what can be done to combat it? Raised Floor Solutions look at sustainable construction and what lies ahead. How does the construction industry impact the environment? So it’s understood that construction has a lasting, damaging effect on the environment, but in what ways? The industry often uses stones and primary aggregates, which when extracted, cause a lasting effect on the local ecosystem, habitat, and landscape. It has also contributed to the increase in greenhouse gases which are warming our earth. These green house gases occur when fossil fuels are burned to create energy. The construction industry then uses this energy to produce materials, assist with the construction project itself, and eventually, the energy will be used by the occupants of the building themselves. Throughout the duration of a construction project the surrounding environment often becomes polluted. This pollution includes everything from sewage and waste overspill to transport to the site. Nearly every activity carried out on site can have a damaging effect and introduce toxic materials to the local neighbourhood, wildlife, and environment. These are just a small handful of examples of the damaging effects of construction upon our environment, but they aren’t the sum total. Traditional construction practices and methods wreak havoc on our world and as we hurtle forward through the 21st century, it’s time we start to ask how we can change this. The name itself is a good indicator! It’s all about coming up with technology and ways to continue building our infrastructure, without damaging the world around us. The term itself can be interpreted in a variety of ways as it encompasses a huge range of disciplines, but at its core, it’s all about harnessing the latest tech to meet our increasing demands in infrastructure. In the past councils, governments, private businesses – they’ve all gone forward with construction driven by a particular need, without considering the wider implications on the environment. At its most basic level, sustainable construction is really just asking us to consider the impact our projects or developments might have and consider alternatives. Where are we now with sustainable construction? We are starting to realise the importance of sustainable construction on a large scale and as a result, we’re developing standards, rating systems, and codes the world over. Varying systems are used in each country. The UK, for example, uses a system called BREEAM. The US one called LEED and Spain a system named VERDE. Each one awards credits to business that adopt green initiatives. These initiatives could include anything from adopting green materials in construction to water conservation or numerous green technologies. What is the future of sustainable construction? 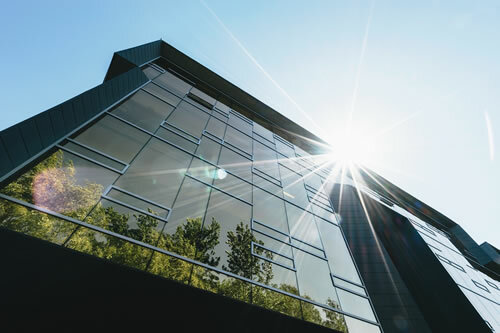 As well as seeing an increase in the number of green buildings being constructed, we’re also now seeing an increase in the number of buildings that are having green tech retrofitted. This is an indication that more and more homeowners and businesses are starting to understand the impact their homes and offices are having on our environment. We may also see such standards and rewards like BREEAM saturated to the point that we have one worldwide global system by which to measure sustainable construction by. That shift has actually already started to happen, with BREEAM actually now being adopted across Western Europe, Mexico, and under consideration for use within the US. One problem often cited alongside that of sustainable construction is that of cost. These newer technologies and methods of design and development, at the moment, are of a much higher cost than traditional building methods. It is because of this higher cost that many are slow to take up ‘green’ construction. In the long run though, there are vast savings to be made in ‘green’ buildings. They cost a lot less to run and enjoy a much lower life-cycle cost. Some studies have even found that within ‘green’ office buildings, productivity is higher amongst the work force. Sustainable development can help reduce waste, improve energy efficiency, optimize maintenance operations, lower impact on electrical resource, minimize damage to the local eco system (sometimes even supporting it) and so much more. It’s time that we start to assess how we implement our need for infrastructure and at what cost that infrastructure should be on our planet.